Who can stack them highest before they tumble down ? 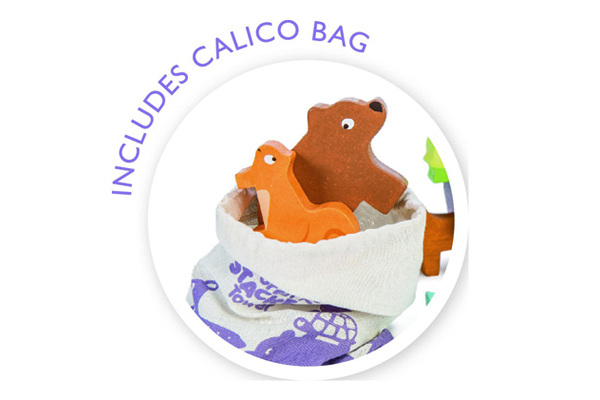 A set of 9 cute “stackable” wooden animals, with a handy draw-string bag ! 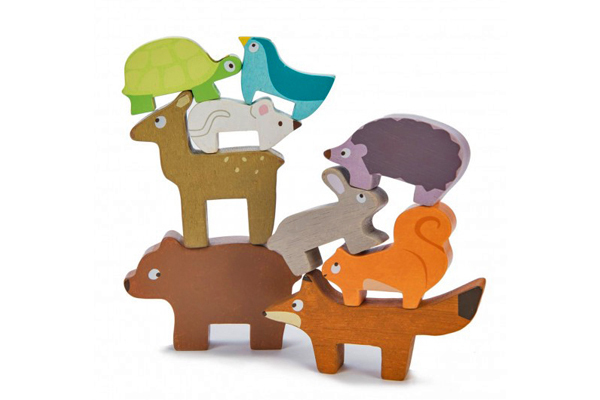 Our North American woodland animals are made of solid wood that’s been ethically-sourced and sustainably harvested. They’re colored with safe, water-based paints, and the storage bag is included. 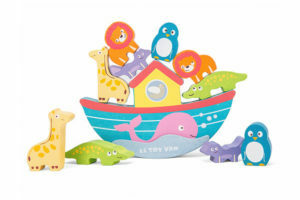 Made by Le Toy Van, our Petitlou Collection Forest Stacker is ideal for children aged 1- 3 years old. Sponge clean only.